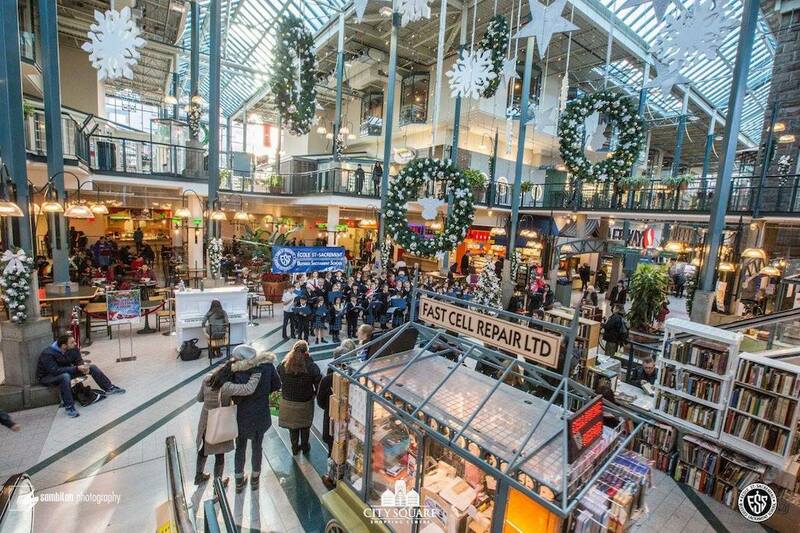 Could there be a new shopping mall as part of a new Vancouver City Hall campus expansion that is integrated with the Canada Line station and the future Millennium Line Broadway Extension station? That may be some of the options being contemplated for an ambitious civic redevelopment in the advent of the new subway, creating a major integrated Broadway-City Hall Station transit hub at the intersection of Cambie Street and West Broadway with two SkyTrain lines — a hub that could eventually even rival Commercial-Broadway Station. A source, who wished to remain anonymous, told Daily Hive that highly preliminary ideas for the City Hall expansion include options for a shopping mall component for the lower levels of the new City Hall campus on the entire city-owned block framed by West Broadway to the north, Cambie Street to the west, Yukon Street to the east, and West 10th Avenue to the south. 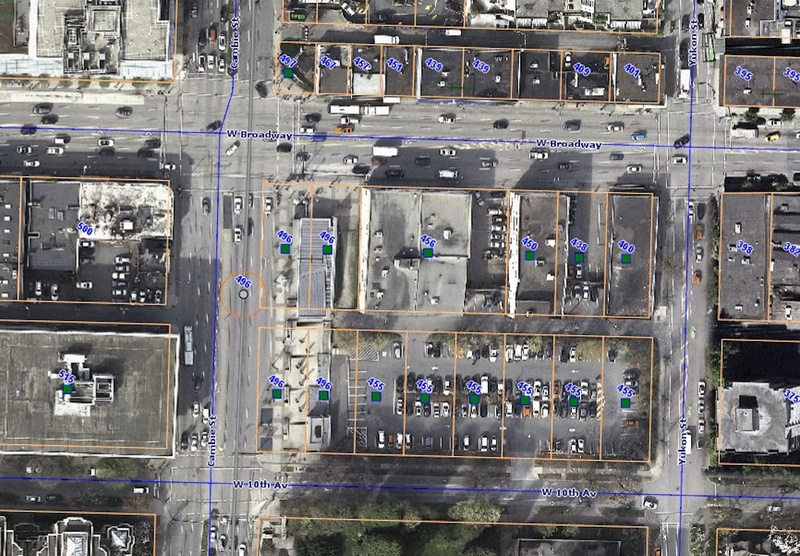 This block, located immediately north of the heritage City Hall building’s north lawn, is occupied by low-storey commercial buildings along the West Broadway edge and a ground-level parking lot along the West 10th Avenue edge. Another source also added there could potentially be a retail component within an underground pedestrian connection below Broadway, and a secondary station entrance at the northeast corner of the intersection of Cambie Street and West Broadway — on the site of the giant billboard, which is a City-owned property. 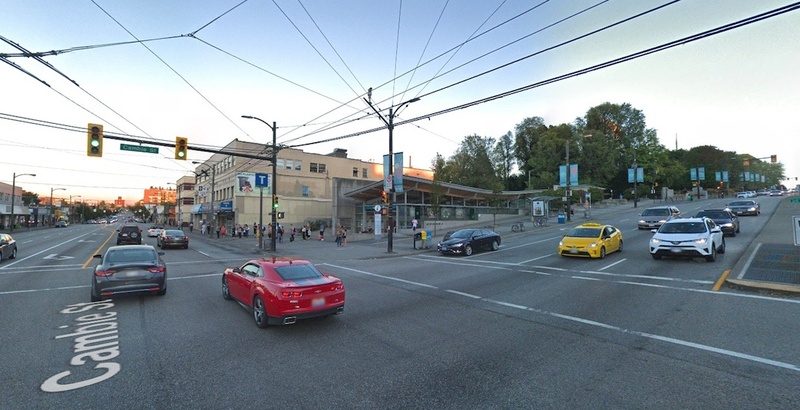 The area is already served by City Square Shopping Centre at the northwest corner of the intersection of West 12th Avenue and Cambie Street, but it does not fully benefit from its close proximity to the transit station due to poor access and connectivity. She also said a future City Hall campus is expected to include new City Council chambers, public counters and other public spaces, offices, and a significantly improved public realm. According to the City’s 2018 Corporate Plan, a new City Hall campus would reduce the municipal government’s reliance on leased workspace, as several major departments are currently scattered at neighbouring office buildings such as 515 West 10th Avenue (Licensing and Permitting) and Crossroads at 507 West Broadway (Engineering Services). Preliminary work already completed so far on the future campus includes the 2016 demolition of the old East Wing and a seismic upgrade of the West Annex. 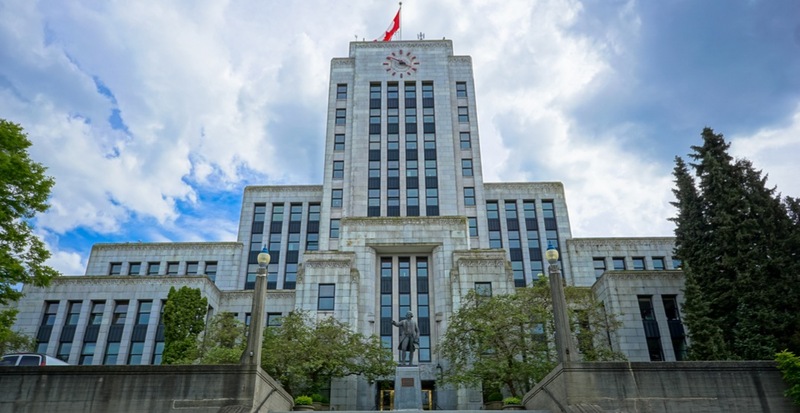 The municipal government has also conducted a preliminary development potential analysis and initiated financial modelling for potential development options for the City Hall campus lands. This year, work will begin on a master plan for the campus, with $2 million allocated in the 2019 budget for the project’s planning. Djurkovic added that campus construction is expected to be funded in the coming 2023-26 capital plan. This could potentially coincide with the opening of the Broadway Extension in 2026. It is unknown whether the allocated future subway entrance space in the Crossroads building will still be utilized as an alternate entrance into the underground transit hub.